Respondus is a vendor that provides assessment tools for learning management systems such as ICON. The University has license agreements for two Respondus products: Respondus 4.0 & Respondus LockDown Browser. Respondus 4.0 is a Windows-based quiz authoring tool that makes it easy for instructors to create and manage exams that can be printed or published directly to ICON. 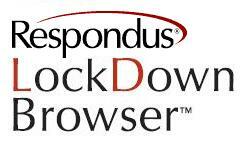 Respondus LockDown Browser (LDB) is a custom browser that locks down the testing environment in ICON. When students use LockDown Browser to access a quiz, they are unable to print, copy, visit other websites, access other applications, or close a quiz until it is submitted for grading. Quizzes created for use with LockDown Browser cannot be accessed with standard browsers.